With this kit you can also use the FleetPC-9 at home. You will need an AC/DC adapter in addition. 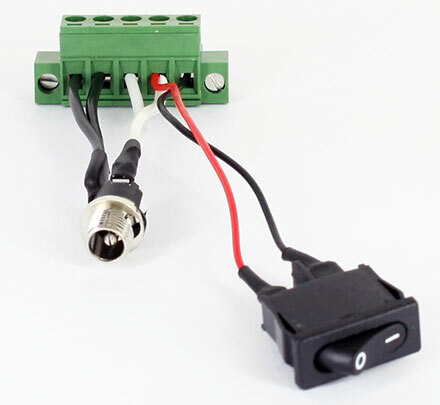 For example 12V/120W (plug: 5.5mm*2.5mm) or 19V adapter. In principle you can use any adapter with 9-48V and at least 120W. 120W are sufficient for desktop work (eg OS installation, maintenance, ..). If the graphics units are used then an adpater with min. 220W power is needed.